JeepForum.com > Models > Jeep Cherokee & Comanche Forums > KL Cherokee 2014 & up > Max tire size? Ok folks I see in other forums they have a Max tire size thread. I would like to know what has been done, preferably with photo evidence. I have read 265/65r17 that seems like a big jump. But if I can clear them with no lift I will be going that route sooner than later. Just want to see some one else with it done. Here is Heihei. I ran 245/70 for a while before a lift and they fit fine. The outer edge of the tyre just rub the back plastic liner of the front wheel well on full lock when brand new, but that plastic can move a good half inch so no probs at all. The 265/65 are the same diameter and fit just as well as long as you don't run wheel spacers. You can not run larger than that without a lift as they may hit the lower front spring perch. This is mine with the 245/ 70 Goodyear Duratracs LT version. 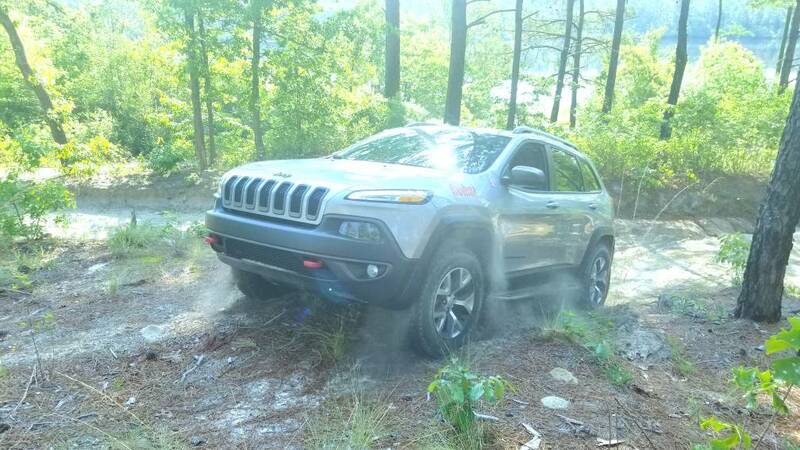 Keep in mind that with the new tech in the Trailhawk (Cherokee) there is no provision for adjusting the odometer if you change the tire size. Unless that has recently changed, that's the latest word I get on my 2017. However going from the 245/65 to 245/70 (or 265/65) is an increase if approx 3.5% (from memory). Mine read approx 3% below actual speed with stock tyres so now reads around 0.5% higher. In real terms this means at 100kmh on the speedo my GPS speed is still showing 100kmh. At 110kmh my GPS speed is showing 111kmh. So to be honest I am not worries at all by the inability to correct the speedo/odometer. cotton16 and richallcorn like this. Speedo doesn't bother me. Gonna get a set of 265/65r17 grabber ats soon(while my stock tires are worth reselling). Thanks folks. Still running then and don't just fine. 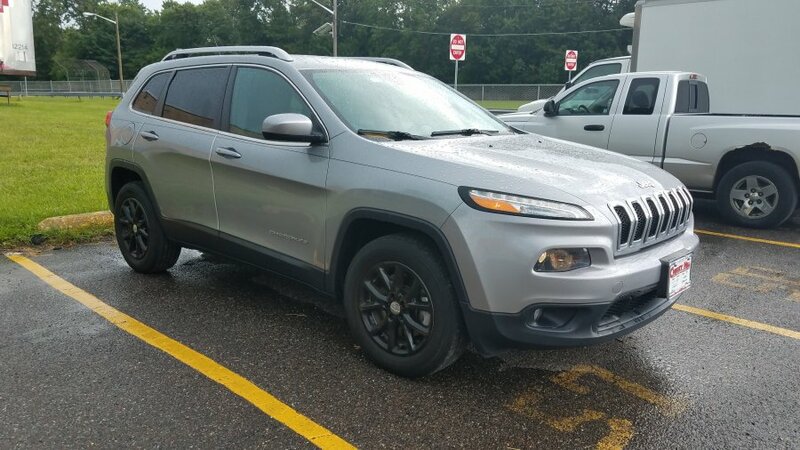 I have a 2015 KL Cherokee and wanted to get bigger tires going from the standard size of 225/65 r17 to 255/60 r17. The dealership said that if I did that, I could end up with having a internal transmission failure. Has anybody ever hear of that happening? Thank you in advance for your comments!! My 2015 Limited has 225/60R18's, but the selection for 18" rim size tires seems very limited. (Pun intended!) How wide do you think I could go? 245? I don't want to change the diameter because of the speedo. "I’ve had a few weird experiences and a few close brushes with total weirdness of one sort or another, but nothing that’s really freaked me out or made me feel too awful about it. " The dealer may be able to adjust the speedometer by reprogramming the PCM. It depends on the available tire options. Sorry, but adjusting the speedometer is not possible on our Cherokees. @Tyler-98-W68 says that even when using his HP Tuner equipment, the option is there, but it doesn't work. My local speed shop checked and says none of their tuning equipment has the Cherokee in their database for tire size adjustment. 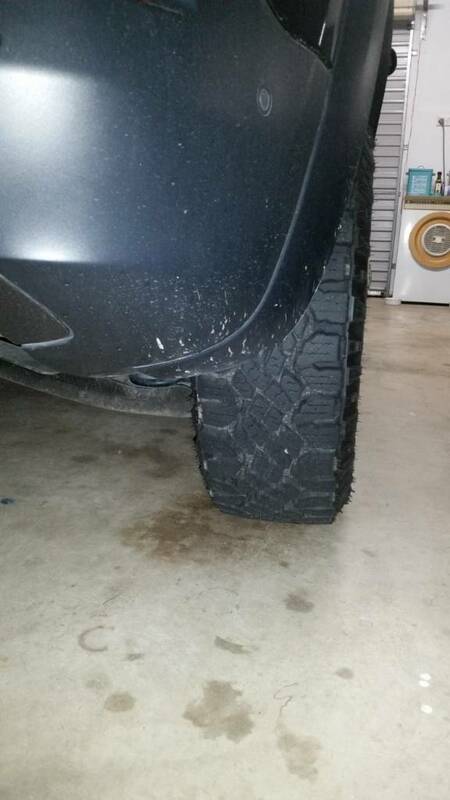 What is the biggest tire size with a lift without rubbing off road? Can you fit 32s on these things? You can IF you have a lift and do the pinch seam mod. If you're up about 2.5" with lifts, you can fit some 31.6" tires with just barely a rub at full turn. That's what I'm running as I didn't want to do the pinch seam mod. Thats a lot of work just to get another half inch of tire size. Too bad you can't just slap on 32s with a lift. What exactly is the size tire you have? I am trying to get at least a front independent suspension (preferably all independent suspension) that I can put 33s on. No trucks as I want to sleep in the back on trips. 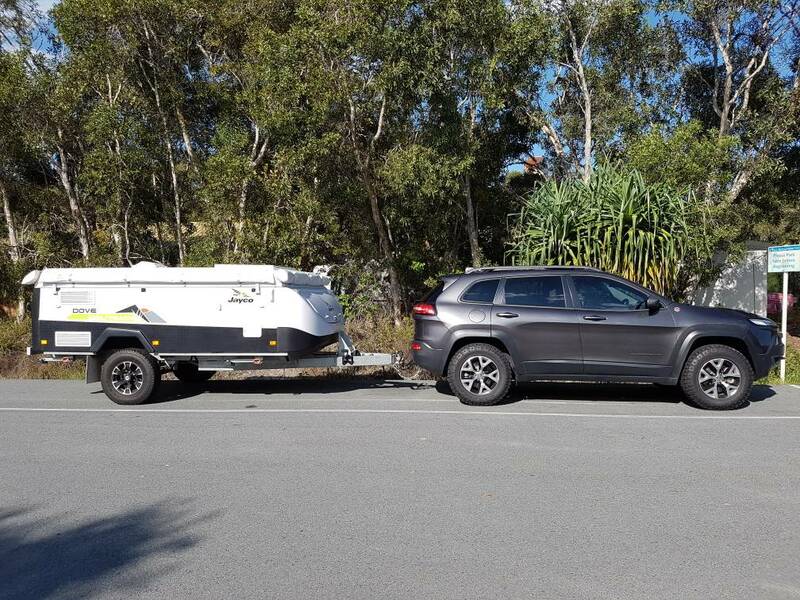 The grand cherokee wk2 seems to max out at 32s and a lift doesn't help at all. The xterra I think can put 33s on without any mods, but the xterra powertrain is a million years old and gets terrible mpg and is rear wheel drive unless you manually switch it to 4hi. I like how these vehicles like the grand cherokee and cherokee do it automatically for you. One nice thing about the xterra is that 16 inch rims fit. I just want a super comfy off road experience. I want lots of side wall and independent suspension to absorb all those rocks.